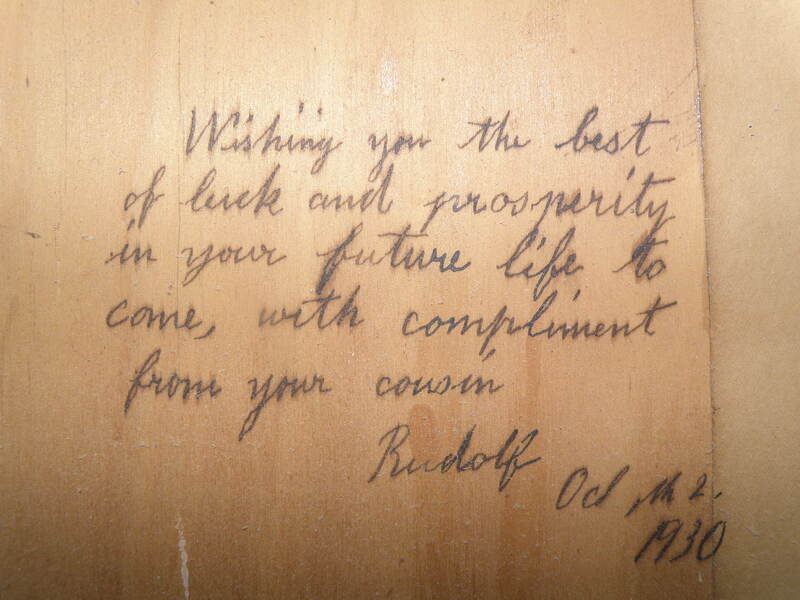 Rudolph Winter was born in the Winter home at Laura on the 2nd October 1890. He was the first child of Heinrich and Anna Winter. His early childhood was as normal as could be with siblings arriving regularly. Gustav came when Rudolph was 11 months old, then Sarah next about 15 months later, and Bertha 15 months later. 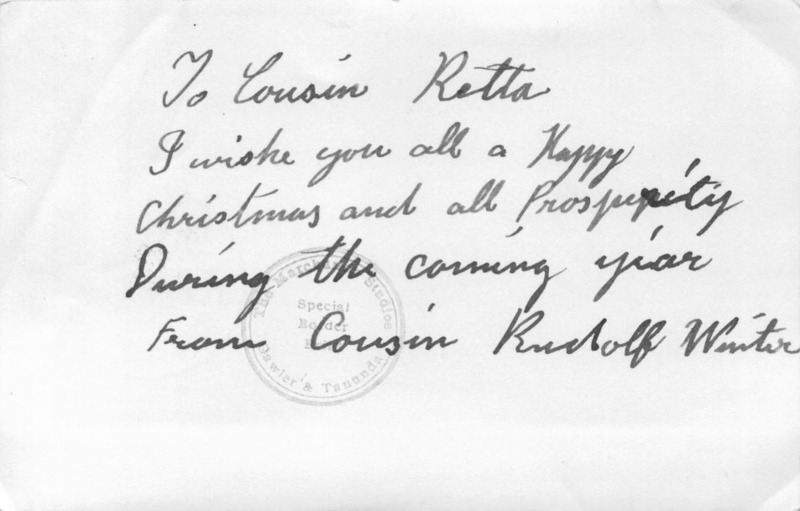 Rudolph had probably started school at Laura the year Ottilie joined the family, followed by Luise, another 14 months later and Adolph in June 1899. Rudolph was now nine years old and the eldest of seven children. Then a tragedy struck the family, particularly for Rudolph, and this would affect the rest of his life. 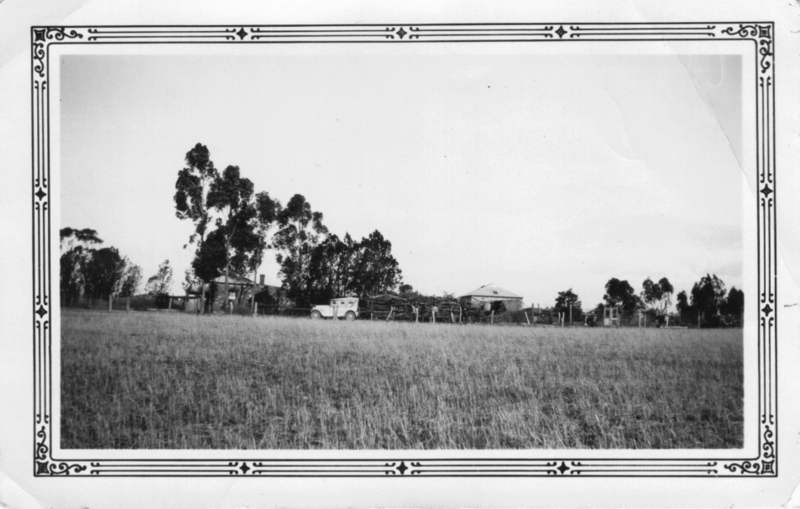 On 17th January 1900, when Rudolph was 9 years old, his parents wrote the following letter to her sister Bertha who had married Paul Zwar and now lived near Stockwell in the Barossa Valley in South Australia. The following is the first section and then closing words of the letter, and was translated from the original German by Chris Greenthaner. We must write to you again. We haven’t heard from you for a long time. The last time was when your dear child was sick and I would very much like to know if he is better again. We’ve been through a lot in the last six weeks. Two of our children were very sick – Rudolph and Ottilie. We were hardly able to shut an eye for 22 nights, and the worst night of all Mrs Rohlach came and helped out. Rudolph was very cold for two days and a night and couldn’t speak any more, even when he would have had to. We had two doctors. The one from Gladstone had no idea what was wrong with the children, and the Laura one thought that they had been stricken by a stroke / apoplectic fit and that Rudolph must have had the influenza and must have got a severe cold together with that. He still can’t walk and his whole right side is paralysed. He can not lift his right arm at all and he crawls like a little child. Tilly is once again walking around. Last Sunday, eight days ago, there were people called here early, already by nine o’clock. In Laura it had been said that Rudolph was dead and they wanted to see him once more. Reichelts and Cleggets were here Sunday afternoon. They had also heard that he had died. But it was not so. The dear God had let them recover again. But they were frightening hours when they were so sick and when they screamed with pain – that was terrible. Now if only they would soon be completely recovered. Heinrich had the influenza as well, and the little one Adolph was very sick and after everything he was quite thin, but now he is quite energetic and has put on weight. Our little son was born on 20th June and is named Carl Alfred Adolph. … … . Please excuse my bad writing. I am so weak in my head, probably from the many full weeks [we’ve just been through]. So now we remain with sincere greetings to all, With love, Anna and Heinrich Winter. The severe illness that the doctors could not diagnose was poliomyelitis, the virus that would run rampant about 50 years later, causing temporary paralysis for some victims and permanent paralyses for others. For Rudolph it was permanent. One can scarcely imagine the trauma for not only Rudolph, but also for his parents and his 6 young siblings. Three more siblings arrived. Firstly Frieda in the same years the above letter was written, then Johan three years later and Carl 6 years after the letter, making a total of ten children when Rudolph turned 16. I think this heading describes the remainder of Rudolph’s life. With his right side paralysed, Rudolph persisted until he could talk and walk again. As an adult he would keep his useless right hand in his right hand pocket. Rudolph taught himself to use his left hand with a variety of skills that included artistic pencil sketching and oil painting. 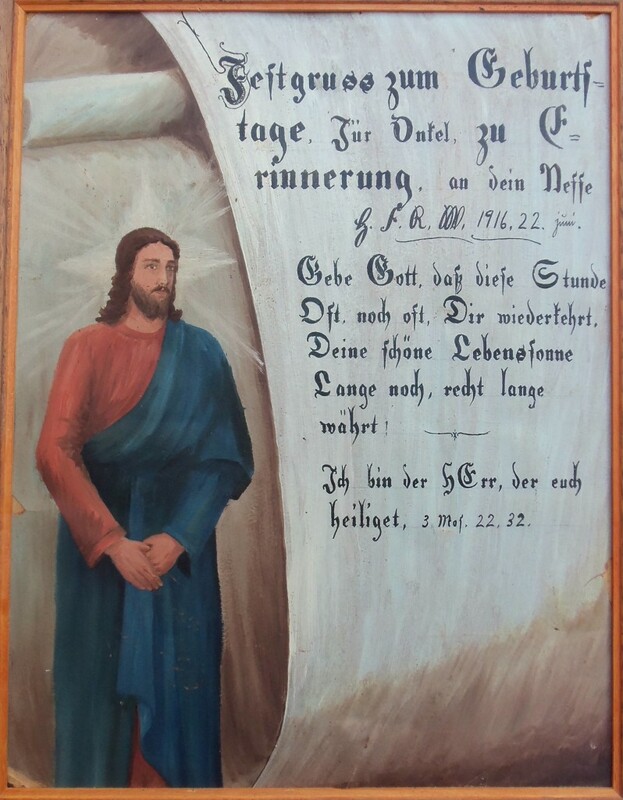 He loved to give his paintings and sketches as gifts to his relatives and friends. With sheer determination he also managed to do hard farm work that included driving a team of horses. Rudolph found a girlfriend who dearly wanted to marry him, but she was an only daughter in a family of boys and her parents refused to give her permission to marry. 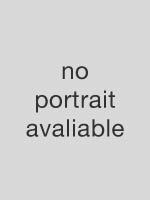 I would like to add a gallery of Rudolph’s paintings and sketches to this website as a special tribute to a person of great skill and courage and determination. 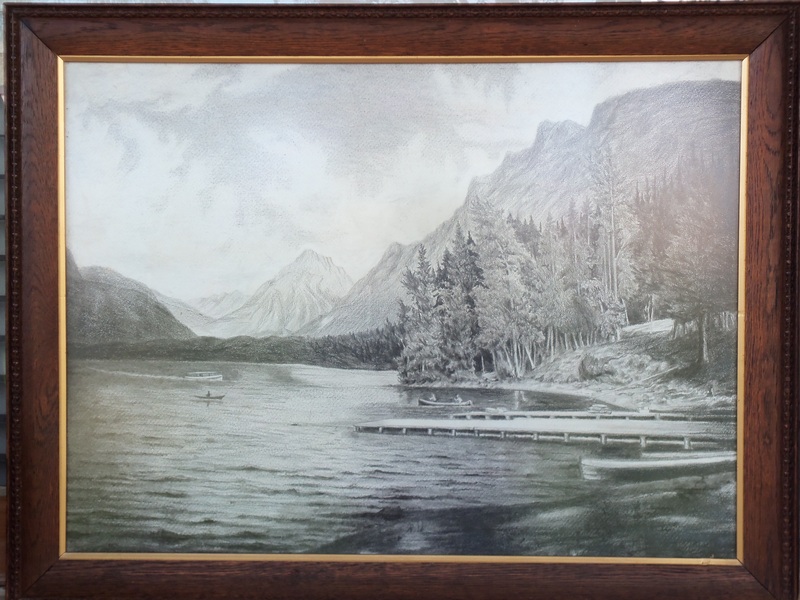 The coloured oil painting by Rudolph featured above used to hang in the Dining Room in the “The Willows” Becker home near Laura. 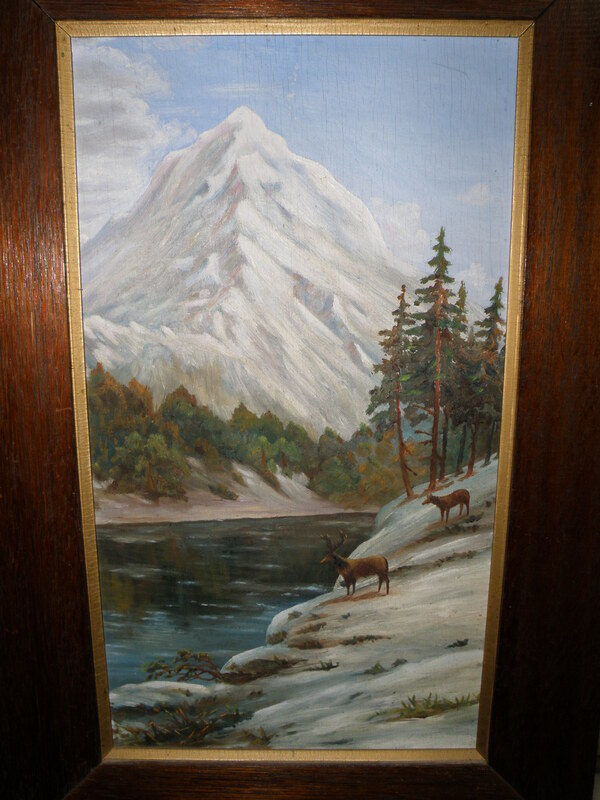 Rudolph gave his cousin Rita Becker and Edgar Zwar a painting on their marriage in 1930 and it hung in the Zwar Dining Room. It is now with the Glenn Zwar family. 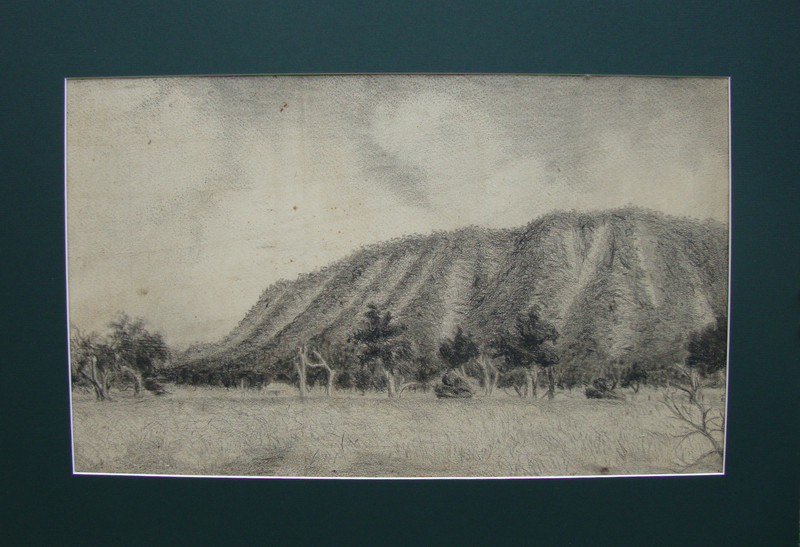 A member of the same family, I consider myself fortunate to have a fine pencil sketch by Rudolph of Mount Remarkable (in South Australia) that used to hang in our laundry on our home farm. I have had professionally help to frame it and it now has pride of place in my study in Melbourne. Use ‘CONTACT US’ on this website to contact me and email me, or arrange to post to me, a photo of any of Rudolph’s sketches and paintings that you might be fortunate to have. I would feel honoured to make a photo gallery of his works that we could all enjoy.